Five teams remain unbeaten at this early stage in the MLS season and though the Crew failed to win it stayed atop Soccer America's MLS Power Rankings by tying 0-0 at Philadelphia. New York City FC held second with an efficient 2-0 defeat of Orlando City in a match that exemplified the different directions taken by these two teams since they entered the league together in 2015. Atlanta United got back on track and rose to fifth by dismantling Vancouver, 4-1. 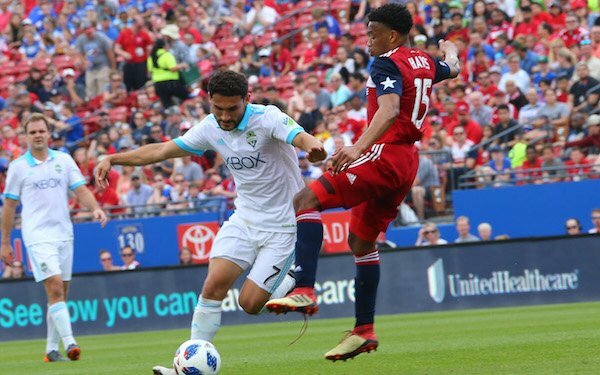 Montreal, Real Salt Lake and FC Dallas posted their first victories of the season; seven other teams, including 2017 MLS Cup finalists Toronto FC and Seattle, are winless. The Power Rankings are based on MLS results only. They include a team’s record in parentheses and rank last week. 1. COLUMBUS (2-0-1), 1. Crew SC held slight edge in possession and completed 84 percent of its passes while holding Union in check for the most part. Gyasi Zardes (four shots, none of them a real threat) put in a workmanlike shift. 2. NEW YORK CITY FC (3-0-0), 2. The absence of David Villa was overcome with a stout defense and opportunistic goals by Ismael Tajouri and Maxi Moralez. 3. LOS ANGELES FC (2-0-0), 4. The expansion saga is on hiatus until LAFC returns to action March 31 at StubHub Center in first L.A. derby, which is sold out. 4. HOUSTON (1-1-1), 6. Goal and assist by Alberth Elis staked Dynamo to a 2-0 lead that it depressingly squandered deep in stoppage time. 5. ATLANTA UNITED (2-1-0), 8. 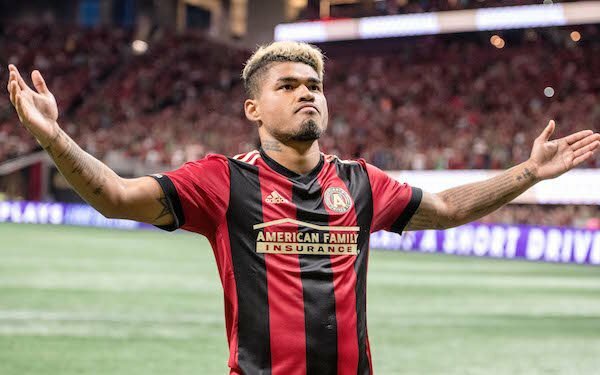 Another hat trick for Josef Martinez. That’s four triples – one short of the all-timeleague record -- in 23 matches. He is not of this earth. 6. SPORTING KC (2-1-0), 11. The best ‘D’ of 2017 has yet to return but the beefed-up attack of 2018 is doing its thing. Graham Zusi nailed a scorcher, Felipe Gutierrez’s third goal in three MLS games turned out to be the winner. 7. PHILADELPHIA (1-0-1), 7. The debut of new DP Borek Dockal lasted 77 minutes. He missed his two shots from distance and was stripped of the ball both times he launched a dribble. Passing was okay. 8. NY RED BULLS (1-1-0), 3. Rotated Red Bulls were up to the task at Rio Tinto after rolling over Club Tijuana in the CCL but couldn’t rebound after giving away an early penalty kick when Carlos Rivas attempted a tackle. 9. VANCOUVER (2-1-0), 5. ‘Caps regroup to host Galaxy after running into the Benz buzzsaw. 10. MINN. UNITED (2-1-0), 10. The Loons needed eight games to win twice last year. They won this one with a Sam Nicholson header from a perfect cross struck by Ethan Finlay as the Fire scrambled comically to re-set its defense. 11. FC DALLAS (1-0-1), 19. All is not yet well in Big D, but a pair of goals by Roland Lamahis more encouraging than his 10-game goalless start to the 2017 season. Photo courtesy of Sounders FC. 12. LA GALAXY (1-1-0), 12. Both Giovani dos Santos and Jonathan dos Santos have been scratched from the Mexico roster due to injuries. Shorthanded Galaxy plays in Vancouver on Saturday. 13. SAN JOSE (1-1-0), 9. Put a scare into SKC before falling in first road test of the year. Vako got his second goal in as many games and has notched seven in 15 MLS appearances. 14. NEW ENGLAND (1-1-0), 14. Revs get a severe early-season test this weekend at home against NYCFC. 15. REAL SALT LAKE (1-1-1), 17. VAR-awarded penalty kick converted by Albert Rusnak and several fine saves by Nick Rimando got the job done. 16. MONTREAL (1-2-0), 22. Impact rewarded a crowd of 26,005 at Olympic Stadium and earned head coach Remi Garde his first MLS victory. 17. TORONTO FC (0-2-0), 12. TFC lost its ninth straight league match following a CCL game though it did control 63.5 percent of possession and take 14 shots, seven by Sebastian Giovinco. No cause for worry. 18. SEATTLE (0-2-0), 14. Another inexplicably dumb moment by Clint Dempsey ended the fatigued, depleted Sounders’ slim hopes. But at least the young guys are getting minutes. 19. D.C. UNITED (0-1-2), 20. The first and hopefully only MLS match at Maryland SoccerPlex produced a very late equalizer by Luciano Acosta and more concerns about the D.C. back line. 20. CHICAGO (0-2-0), 13. A tying goal by MLS debutant Stuart Collier tied the game for about four minutes. Soon-to-be dad Bastian Schweinsteiger did not play. 21. PORTLAND (0-2-0), 21. Timbers take on another team with a lot of question marks when they play at FC Dallas on Saturday. 22. ORLANDO CITY (0-2-1), 18. Keeper Joe Bendik has been heroic in many games for the Lions but an atrocious giveaway in his own penalty area gave NYCFC its first goal. Lions play well in spurts and are self-inflicting catastrophic moments. 23. COLORADO (0-1-0), 23. Rapids host SKC for their home opener.